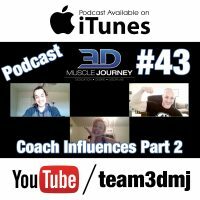 Welcome back to part 2 of our Coach Influences Series. This week, Andrea sits down with Jeff and Alberto to go through the people, and icons, who helped shape who they are today. Who was Alberto’s and Jeff’s FIRST influence? Which famous and highly successful athlete, did Alberto get his extraordinary work ethic from? At what point did the coaches switch their focus from sports to the weight-room? Who or what caused this transition? 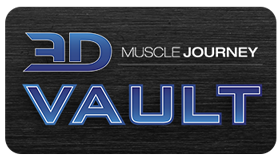 Alongside these questions regarding each of their past and present influences, the group also touch on some never before mentioned details regarding the foundation of 3D Muscle Journey as we know it today. What made the 3DMJ business plan seem possible? Where did Jeff get the very first idea for the original 3DMJ Blog?